When HEARTS ARE OPENING, I will write from each space of "duality" (for the purpose of this post) and vibrational frequency. I must speak from different spaces in consciousness for this one, so see which one resonates, if at all... each "space" views it according to that reality. 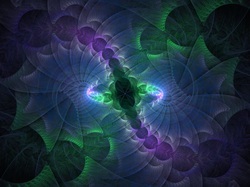 Heavy streams of energies "push" energies up "quickly or strongly" .... they keep pushing until one "bursts" within. Where one has something that wishes to "go", then this will present as an emotion such as pain, fear, anger, tears, etc. The fight or resistance to this is what creates greater discomfort/pain/fear. Allowing the emotion to be felt and released (in a safe way) is the purpose. Allowing will bring one to a higher vibrational frequency after the release. The energy that is surfacing is blocking your heart from expanding, so your heart is trying to expand to "push it up/out". For others, they feel expansive and just wish to LOVE everything.... and this is a state that comes AFTER one has already/usually "endured" the previous space mentioned before. This serves as a huge purpose too. This space allows you to raise the vibrational frequency to all. All that you come into contact with as ENERGY... (in person or distance). It also raises your vibrational frequency to bring in NEW. YOU already exist as a brilliant being of pure and perfect light. That which is anything less is but a frequency that has been suppressed awaiting for THIS MOMENT to emerge. In its emergence, all that is "less" than light is brought forth for you to see and release/let go of, here in the physical. As you embrace it and allow, you will raise in vibrational frequency BACK INTO THAT WHICH YOU ALREADY ARE WITHIN. The key is to go within to unlock it, find it and bring it forth in your reality there. 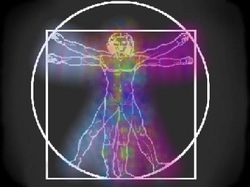 That which you have FORGOTTEN is stored within the other 10 strands of DNA that are activating. It is accessible in that SPACE within your heart that you cannot see (covered up with "stuff"). Seeing BEYOND the physical means utilizing your mind's eye to expand your own thoughts beyond that which makes sense. Each time you do this, you further activate that portion of your unconscious/inactive "brain".... that 90% (or whatever) is being activated as you do. Your ENTIRE physical is repatterning to accommodate this. There will be physical adjustments that make no sense. 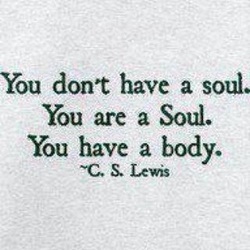 YOUR SOUL EMERGES here in the physical and as it does, ALL WILL CHANGE. You cannot "think this"... all you can do is KNOW it in your heart and allow it when it presents for you. WE are here to assist in this. Bringing forth HERE that which you have yet to see. 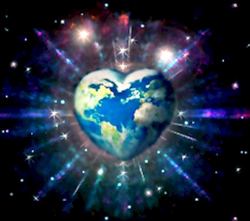 WE hold a space in LOVE & LIGHT and CONSCIOUSNESS that you will soon REMEMBER yourself to BE. Good morning most exquisite and brilliant beings of LOVE and LIGHT! Energy check time! How are all faring today? WOW on yesterday's "push up everybody's stuff" day.... today has already started with a HUGE stream, awaking me to feeling them ever so strongly, and also hearing them singing "at the top of their lungs". Yesterday was "purging" and today appears to be "merging" energies. Today's energies "feel" different on what is coming in. Yesterday's had a definite "trigger activation" feel to it, whereas today's feels more like integration and merging energies. They are the "go to sleep" energies, like was felt so strongly on Sunday. (no I don't do "time" or days usually either, but apparently those are present right now). "Time" is starting to fall away again, which is super awesome, to return to an expanded and fluid space. So, share if you like, as it helps others here to connect and exchange too. Beautiful energies to all! Rest, nurture, hydrate & nature! I love you. What is not okay in your reality? Being okay is something we come to exist AS; this resides within us. Yet, I keep hearing others speak of "if they had that, all would be okay." I want this or I want that.. and what they have is never quite enough. It is "I am thankful, but.... ". As usual, there are a multitude of perspectives to choose from! Can you lay or sit in any space and be at complete peace within you? Can you FEEL and KNOW that exactly what you have, right here, right now is perfection? Can you appreciate what you have or do you always want for something else? Is your "happy" based on anything outside of you? Happy and okay is not anything "out there". It exists within and RADIATES OUT. All create their happy and peace from within. All that represents happy "out there" that is not in alignment with your Divine Essence and BEing, these things get "adjusted" to show where something is "backwards" or "off". If things are not working, there is a reason. Falling victim to it is the "old" way. Observing it, going within, finding it, owning it & CHANGING IT are where all are being placed now. All things are being "reversed" in this process. All have spent their entire "lifetime" acquiring things, controlling, achieving... for all of that to fall away. Identities have been created around others & things. One has no idea who they truly are. 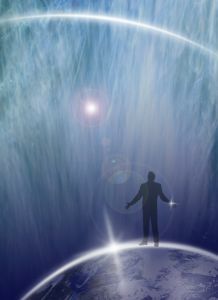 When it is time for one to come to REMEMBER their own self, as an energetic being, all things "out there" fall away until this occurs. One can choose to participate or allow it to occur for them. The latter is a whole lot less "fun". Stop for a moment and breathe, get in a space where you can get quiet and go within. Now remind yourself that, in this moment, you are okay. You have everything you need. Re-focus your energy. Get out of "another time". The "future" is being created by that which you FEEL right now and visualize in your mind's eye. If that is anything less than bliss & perfection, YOU ARE CREATING that which you do not desire. If you do not want it you have to stop focusing on it and start to focus on transmitting out that which you DO desire. Desire comes from your heart. Not your thinking mind. If you wish to create, you must first get okay. Otherwise, all you are creating is that which is not okay according to your own mind. Being okay is not in your head. It is always in your heart. Now the question is, can you exist, in every moment, in your heart? If you can, then you can start to create that which you truly desire. And this will ALWAYS be a FEELING which then creates the thought. Not a thought that creates a feeling. This world is backwards. Welcome to the inside-out world of the soul. I love you. Energy Report: Energies Providing for REST! Good morning most exquisite beings of brilliant love and light! Energy check-in for all who are up & moving about (or not)... very present, yet quiet and calm. Very peaceful and almost serene. It almost feels like many are being given a "break" to rest and allow for further integration. The energies have definitely elevated in frequency from where we were "before" and all must be "tuned" to function in these higher energies. This will take much adjustment and the more resistance, the "harder" things are perceived to be. Every part of the physical body is enduring these changes. Physical clearings & upgrades continue. These have been quite a jolt for many. If you are able, take the day for relaxing and BEing even more connected. If you feel called to sleep, honor this. It is a major part of this process that will allow for further integration and merging of realities. Feel all around you as being a part of you and you with it, merging your energies. You are expanding into that which you have once known. You are unlimited, amazing, brilliant and all that does not contribute to that understanding is being purged from your existence. This will occur exactly perfectly for you. Show yourself kindness, compassion and love. Connect WITHIN and all "out there" will follow, support and assist you. Honor yourself and nurture.